The European Bioinformatics Institute (EMBL-EBI) is an academic research institute located on the Wellcome Trust Genome Campus in Hinxton near Cambridge (UK), part of the European Molecular Biology Laboratory (EMBL). Its mission is to provide freely available data and bioinformatics services to all facets of the scientific community in ways that promote scientific progress; to contribute to the advancement of biology through basic investigator-driven research in bioinformatics; to provide advanced bioinformatics training to scientists at all levels, from PhD students to independent investigators and to help disseminate cutting-edge technologies to industry. Imperial College London (ICL) is a science/technology/medicine-based university institution with an internationally renowned reputation for excellence in teaching and research ranking 6th in the world by ‘The Times Higher Education – QS University World Rankings’. The department of Surgery and Cancer is a world leader in metabolic profiling and modelling, and is exceptionally well equipped with state-of-the art analytical instrumentation including 1×800, 6×600, 1×400 MHz NMR spectrometers with cryoprobe and flow technology, and a suite of mass spectrometry platforms (GC, triple quad, single quad, QTOF and ESI) all with hyphenation to chromatographic separation systems (UPLC and UPC2) and capability for direct connection to on-flow NMR. Allied to this the MRC-NIHR National Phenome Centre , and Clinical Phenome Centre are two world-leading metabolic phenotyping resources offering large-scale targeted and non-targeted metabolite profiling to healthcare professionals in industry and academia, in the permute of epidemiological and stratified medicine studies. Leibniz Institute of Plant Biochemistry (IPB) is a non-university research centre and member of the Leibniz Society. Within four research departments, more than 150 staff scientists, students and guest researchers investigate in a multidisciplinary style the structure and function of natural products from plants and fungi, analyze interactions of plants with pathogenic and symbiotic microorganisms and study molecular interactions as part of complex biological processes. The Research Group Bioinformatics and Mass Spectrometry focuses on mass spectrometry as a key technology for metabolomics research. The group is developing algorithms, databases and tools required for the analysis of metabolomics experiments such as: 1) Algorithms and tools to handle and process large scale mass spectrometry data; 2) Statistical approaches to interpret metabolite profiling data; 3) Tools and databases for computer aided metabolite structure elucidation; 4) Analysis of metabolite profiling data in the context of dynamic metabolic pathways. University of Barcelona (UB) is a public University with 65000 students and 5000 R&D personnel. The metabolomics facilities include state of the art GC-MS and LC-MS facilites for fluxomics and metabolomics as well as in-house developed software for 13C-based fluxomics. The Institute of Theoretical and Computational Chemistry of the University of Barcelona offers computational facilties and support to methods and computational tools development performed at UB. The UB is the first ranked Spanish university, and the twenty-third European institution, in scientific quality and productivity. The University Of Birmingham (UoB) is a well-established institution, both nationally and internationally, that offers high-standard teaching and research in most major disciplines, organised in five academic Colleges. 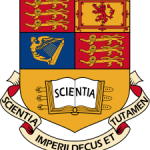 The University is one of the leading research-based universities in the United Kingdom. HWB-NMR is a £10 million Wellcome funded NMR facility with expertise including NMR spectroscopy with applications in metabolomics, metabolic flux analysis, biomolecules and drug screening. Consorzio Interuniversitario Risonanze Magnetiche di Metallo Proteine (CIRMMP) is an institution financed by the Italian Ministry for Education, University and Research (MIUR), by the European Commission (EC), and by charitable organizations. Development of computational tools for structural biology and bioinformatics analyses, creation of databases, analysis of NMR data, development and application of statistical methods for the analyses of metabolomics data are all active fields of CIRMMP research. Additionally CIRMMP has experience in the creation of user-friendly interfaces that allow external users to remotely access its computational services. 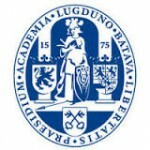 Leiden University (UL) is since 2000 focused on the development of analytical methods for a metabolomics and based systems biology approach to enable personalized medicine strategies. Leiden University has been leading the Netherlands Metabolomics Centre (NMC), a € 50 million initiative focussing on the development of better metabolomics tools for personalized health and quality of life. Leiden University has established a Metabolomics Facility, next to the metabolomics research lab, analysing more than 10,000 clinical samples; a data processing pipeline has been established using partly home-built tools to process the data and store them in a data warehouse. The Oxford e-Research Centre (UOXF) works with research units nationally and internationally to enable the use and development of innovative computational and information technology in multidisciplinary collaborations; it also hosts the Oxford Supercomputing Centre. The life science group works around and in support of capture, management, curation and publication of multi-dimensional experiments and their pivotal roles in enabling reproducible research, driving science and discoveries. Swiss Institute of Bioinformatics (SIB) is an academic, non-profit foundation recognised of public utility and established in 1998. SIB coordinates research and education in bioinformatics throughout Switzerland and provides high quality bioinformatics services to the national and international research community. The participant is affiliated with the SIB since 2006. He is employed at the University of Lausanne, which is composed of seven faculties where approximately 13,350 students and 2,800 researchers work and study. The Faculty of Biology and Medicine (FBM) include 10 departments of fundamental research and 12 departments devoted to clinical science. The latter are part of the Lausanne University Hospital (CHUV), one of the five university hospitals in Switzerland and the main hospital of the canton “Vaud”. Uppsala University (UU) has a strong international position and a large focus on biological and medical research with the recently established Science for Life Laboratory (SciLifeLab) concentrating Sweden’s biological data-generating platforms encompassing e.g. 16 HiSeq 2500, 2 PacBio and various other technologies. The UPPMAX high-performance computer center at UU is a node in the Swedish National Infrastructure for Computing (SNIC) with the focus areas bioinformatics, data-intensive computing, and management/analysis of sensitive data. The pan-European Biobanking and BioMolecular Resources Research Infrastructure-ERIC (BBMRI) improves the accessibility and interoperability of the existing comprehensive collections, either population based or clinical-oriented, of biological samples from different (sub)populations of Europe. In 2013, BBMRI was officially awarded the Community legal framework for a European Research Infrastructure Consortium (ERIC) to facilitate the joint establishment and operation of research infrastructures of European interest. The ERIC status allows pulling together biobanks and bimolecular resources, their expertise and services on a non-economic basis. BBMRI-ERIC primarily aims at establishing, operating, and developing a pan-European distributed research infrastructure of biobanks and biomolecular resources. The French Alternative Energies and Atomic Energy Commission (CEA) is a French government-funded technological research organisation and is one of the four platforms comprising MetaboHUB, the national infrastructure in metabolomics and fluxomics. The Laboratory for Data Analysis and Smart Systems (LADIS) has strong expertise in developing innovative mathematical approaches to deal with large volume and high complexity of “omic” data (signal processing, statistical analysis, machine learning), including those originating from mass spectrometry (e.g. in proteomics and metabolomics). In particular, it has a longstanding partnership with the Laboratory of Drug Metabolism (LEMM) which is specialized in LC-MS metabolomics and lipidomics for health applications. CEA has developed algorithms for normalization (signal drift and batch effect correction), univariate statistics and multivariate modelling, which have been integrated within the Workflow4Metabolomics (W4M) collaborative infrastructure. Institute National de la Recherche Agronomique (INRA) is a public research institute conducting research in life sciences in three major fields: (1) sustainable agriculture, (2) human nutrition and food safety and (3) environment and regional development. INRA Toxalim has state-of-the art facilities for high throughput mammalian cell cultur, in vitro and ex-vivo metabolic studies. Facilities for the extraction, fractionation and analysis of biological samples (human biofluids, tissue extracts) are available, including HPLC, R-HPLC, NMR abd LC-HRMS. This metabolomics facility is part of MetaboHUB, the French National Facility in Metabolomics and Fluxomics funded in 2013 to provide a cutting-edge national infrastructure. The Centre for Advanced Studies, Research and Development in Sardinia (CRS4) is one of the leading centres in Italy for research and development activities in information technology, bioinformatics, distributed and high-performance computing. Their activities focus on the development of enabling technologies, physical and mathematical modelling, and computing science in high priority areas recognised as strategic at the regional, national and European Levels. 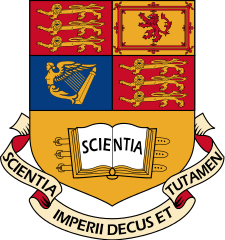 The centre has successfully collaborated with leading research institutions in various areas, and in particular in the biosciences – the latter resulting in significant contributions to large-scale genomic studies on autoimmune diseases and longevity, and to the development of lentiviral gene therapy and genetic diagnostic panels.